Looking for how to make shrimp ceviche? 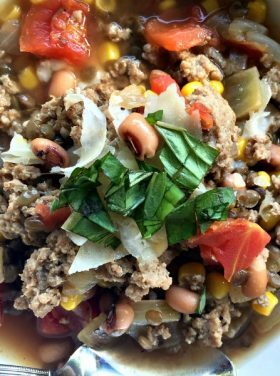 And do you ever in a rut with meal planning? I love to keep shrimp in the freezer for spring and summer meals. 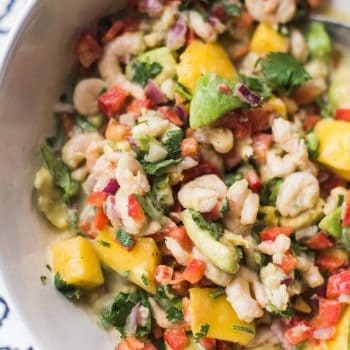 Or buy it fresh, enjoying this Shrimp Ceviche Recipe With Mango and Avocado. 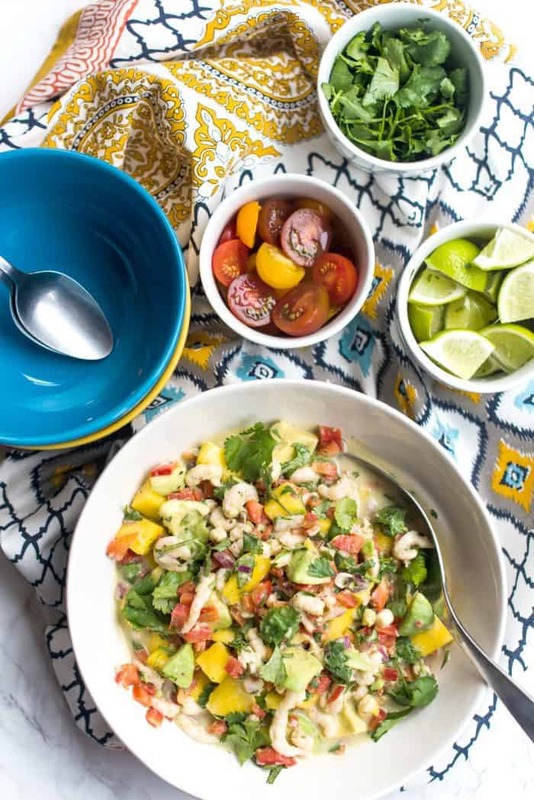 This Mexican Ceviche is delicious for a Mexican feast or Cinco de Mayo! 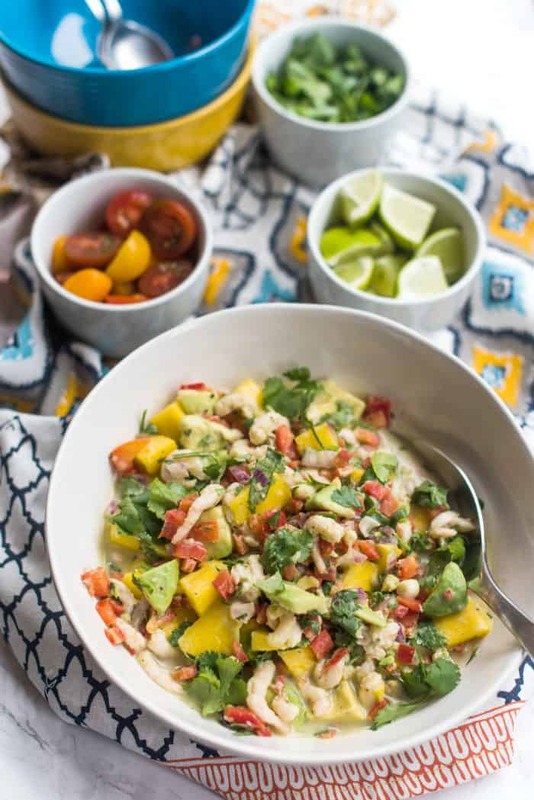 Just in time for cleaning off the patio, throwing down a tablecloth and setting the table, we enjoyed this Shrimp Ceviche With Mango and Avocado for an appetizer this week. You may have tried this Mexican Shrimp Cocktail recipe a few years back, or my Seafood Civiche, fun to serving in little canning jars. Shrimp ceviche is an incredibly easy and popular South American dish to make, usually made with fish or raw seafood, mixed with lemon, lime, onion, and chili pepper. This time we added mango, coconut milk, and a few other ingredients. 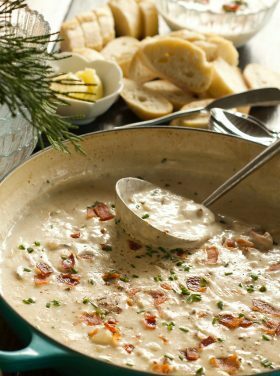 You usually serve it cold, as a main course or appetizer. Toss the shrimp in vinegar and marinate. Then you combine lime juice, coconut milk, mango, avocado, onion, shrimp, bell pepper, and cilantro, adding a little salt and pepper. Ready to serve, top with cherry tomatoes, cilantro, and fresh lime. I’ll walk you through what I do about every 10 days before I do my “big” shopping. We start each week by planning our meals and making a grocery list. Do we stick to them religiously? No. 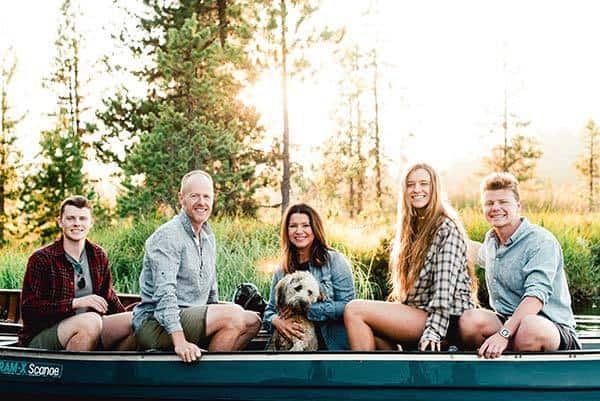 But honestly, when you don’t plan, the whole family feels the stress of dinnertime! 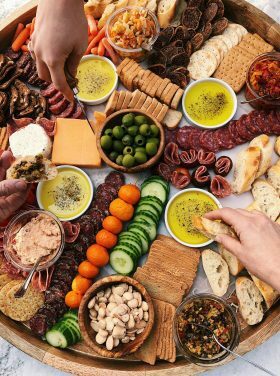 For sure we stray from the menu, but when shopping, we definitely have a few menus in mind. 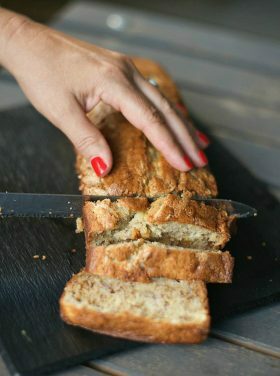 I love being organized with food, because it allows our family to be spontaneous with entertaining! Who doesn’t love a last-minute invite … I’m cooking enchiladas and fresh Shrimp Ceviche Recipe With Mango and Avocado tonight. Want to come and enjoy it with us, and sip on Sangria? What helps with meal planning for our family is to write it out. Sometimes I’ll ask the families for a list of their favorite meals. 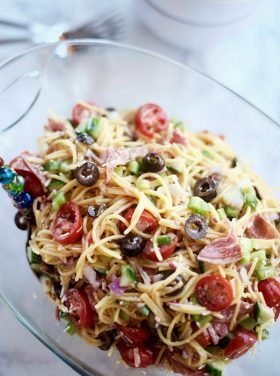 There are also apps and websites that can help with meal planning. One in particular is my friend Jess and Maria’s Sweet Peas Meals. I highly recommend this meal plan. 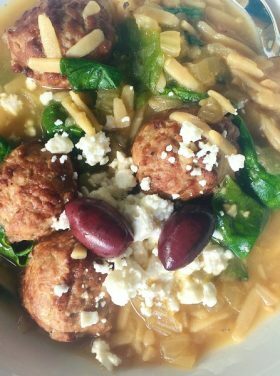 How many meals will you be cooking in the next week? From how many of the meals will have you have leftovers for a separate meal? Do you plan to entertain? What portion of the meal will you make? 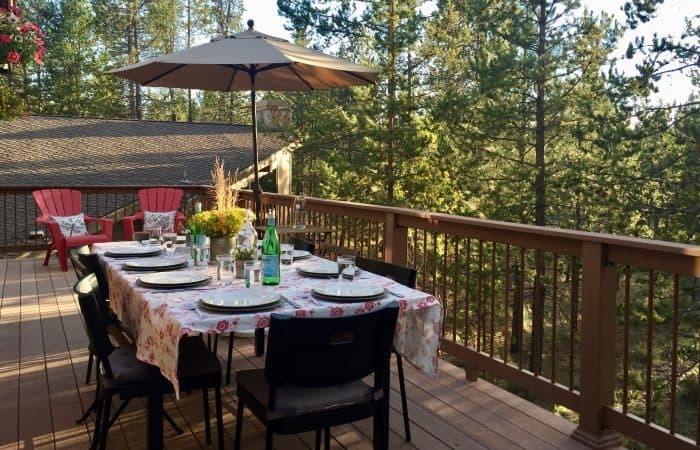 What can you delegate to your guests? Do I need a quick app to help me plan my menu this week? 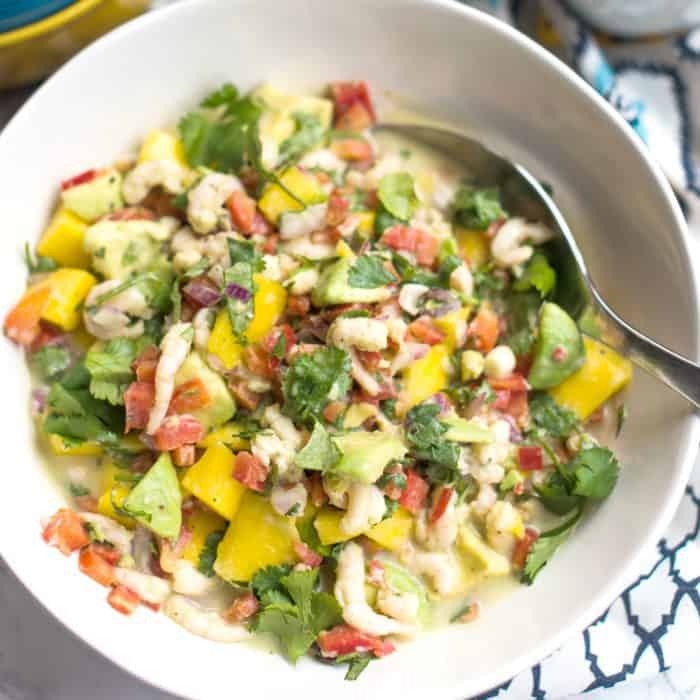 So whether you make this Shrimp Ceviche Recipe With Mango and Avocado for a family dinner, or for a fresh summer appetizer, you can keep shrimp in the freezer for this yummy recipe. 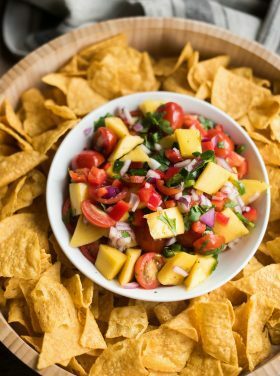 Don’t forget your favorite tortilla chips for dipping! Toss shrimp in vinegar and allow to marinate for 15-20 minutes before draining and rinsing. 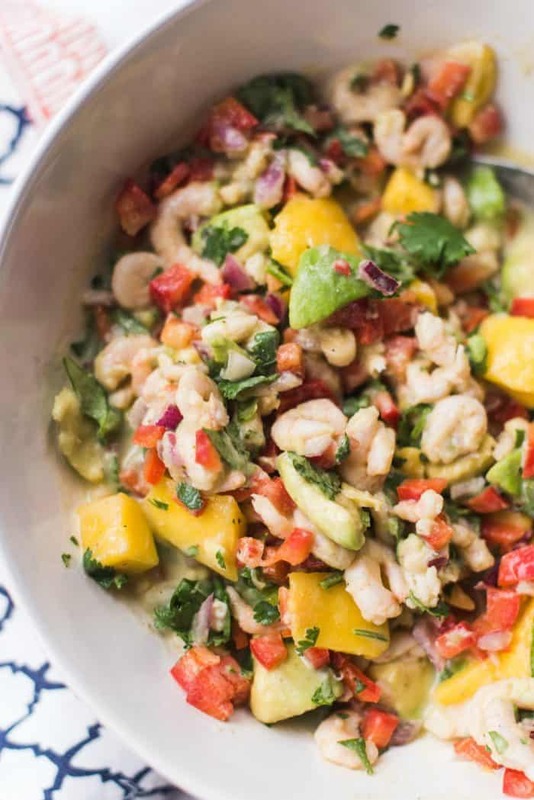 In a medium bowl, combine lime juice, coconut milk, mango, avocado, onion, shrimp, bell pepper, and cilantro. Salt and pepper to taste. Serve with cherry tomatoes, cilantro, and fresh lime. Eat by itself or on corn tortillas! 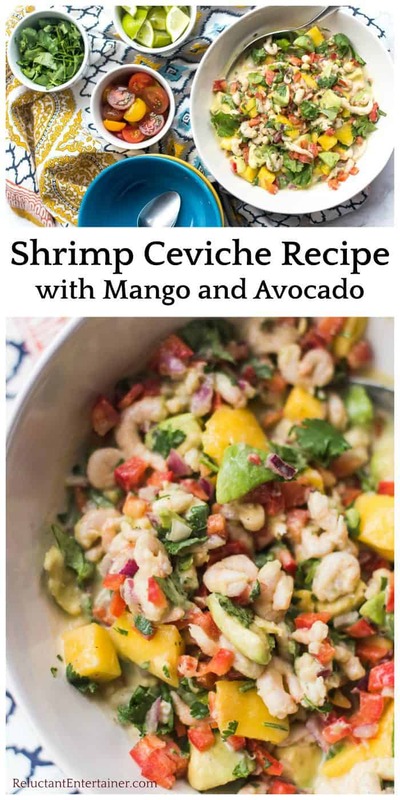 More baby shrimp recipes: Ceviche My Way [Noble Pig] and Salt and Pepper Ceviche [RecipeGirl].